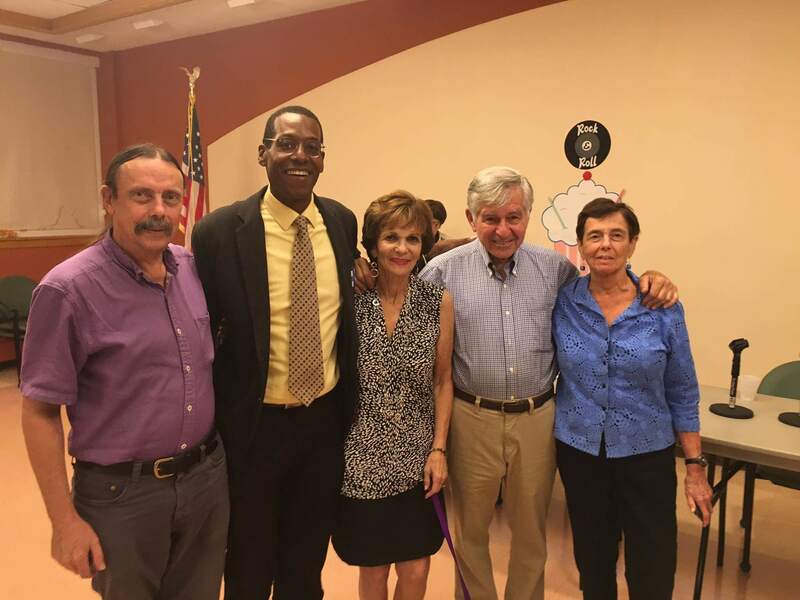 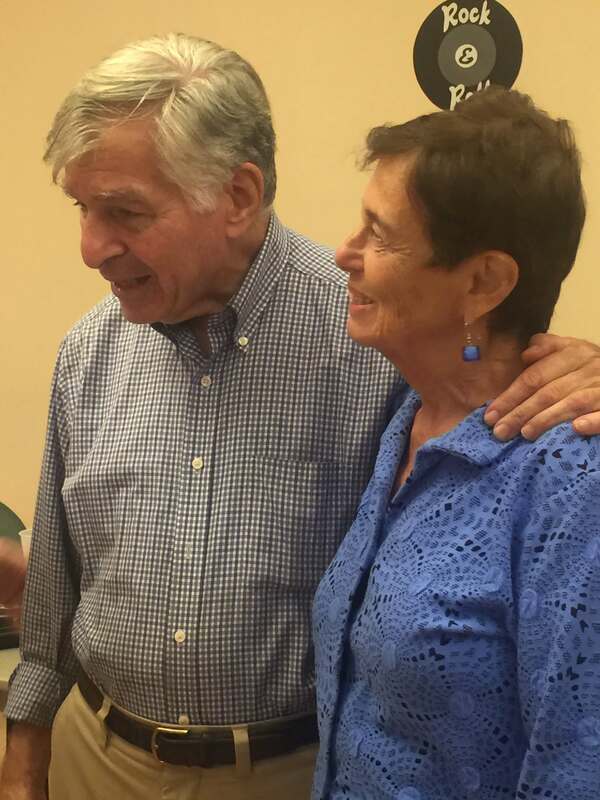 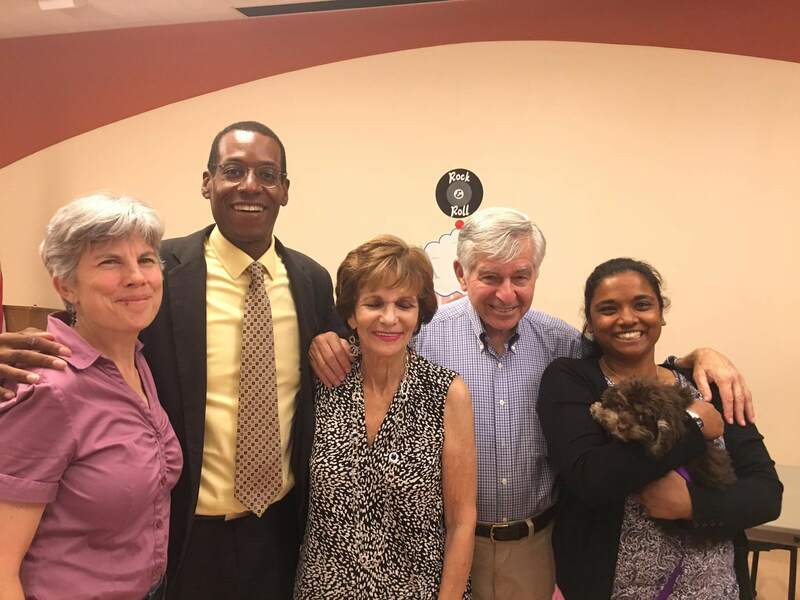 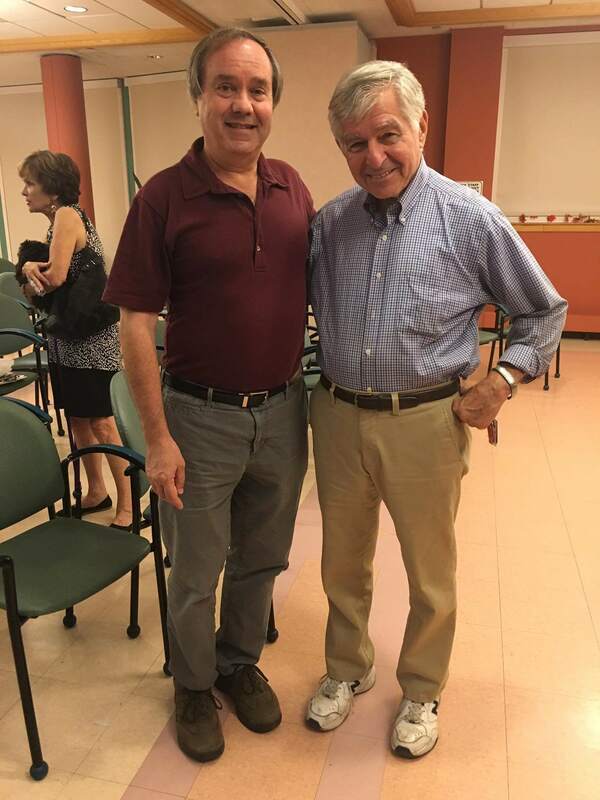 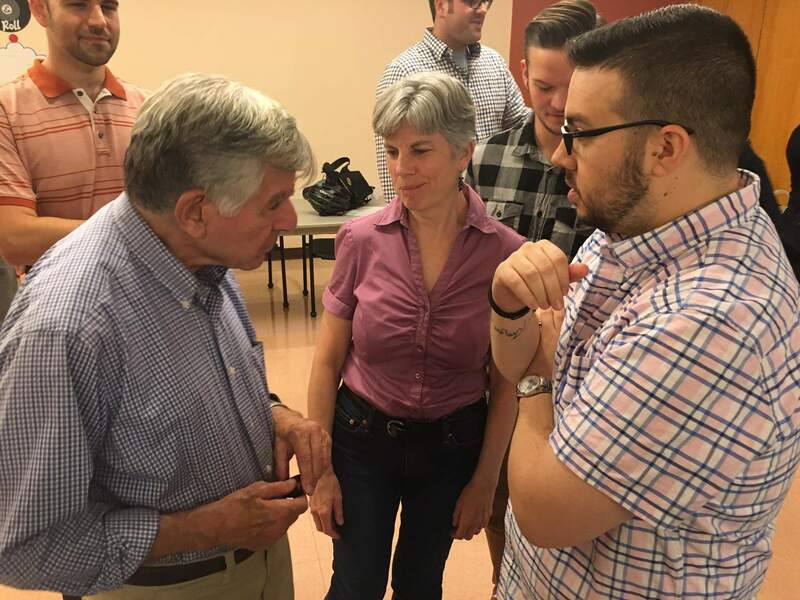 We were honored that three-time Massachusetts Governor and 1988 Presidential Nominee Michael Dukakis and his wife Kitty joined us when the CDCC met on September 22! 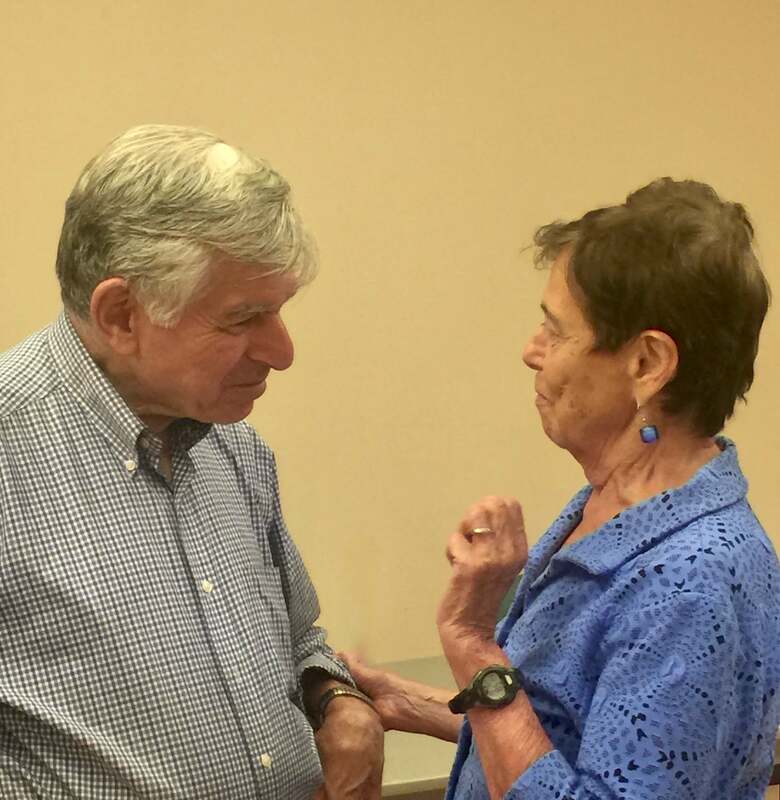 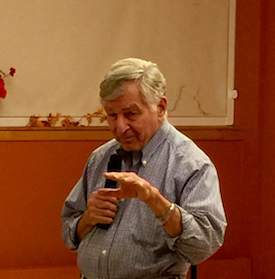 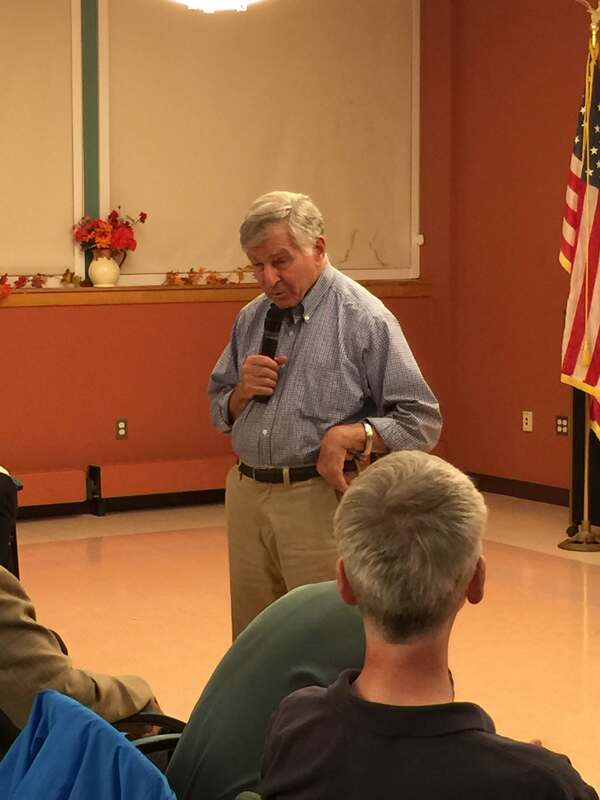 Michael Dukakis believes that Democrats needs to organize all the way down to the precinct level. 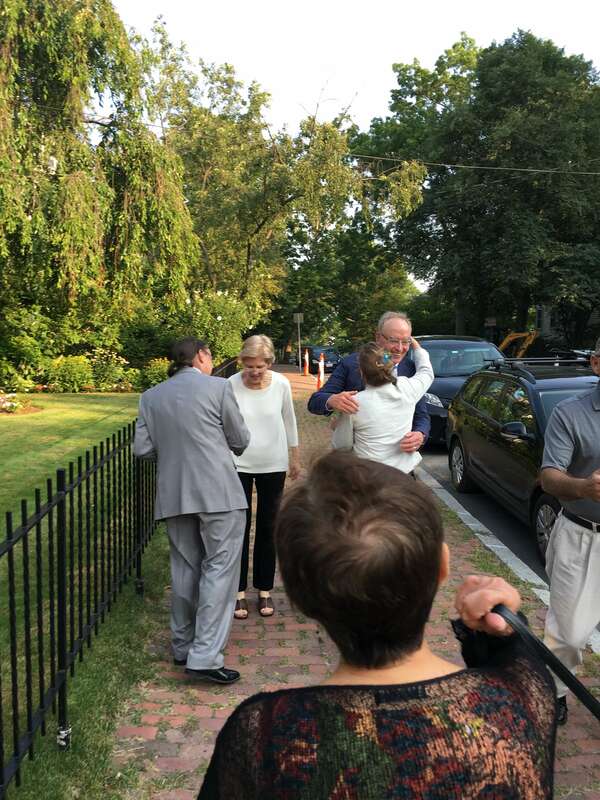 "It's neighbors seeing neighbors. 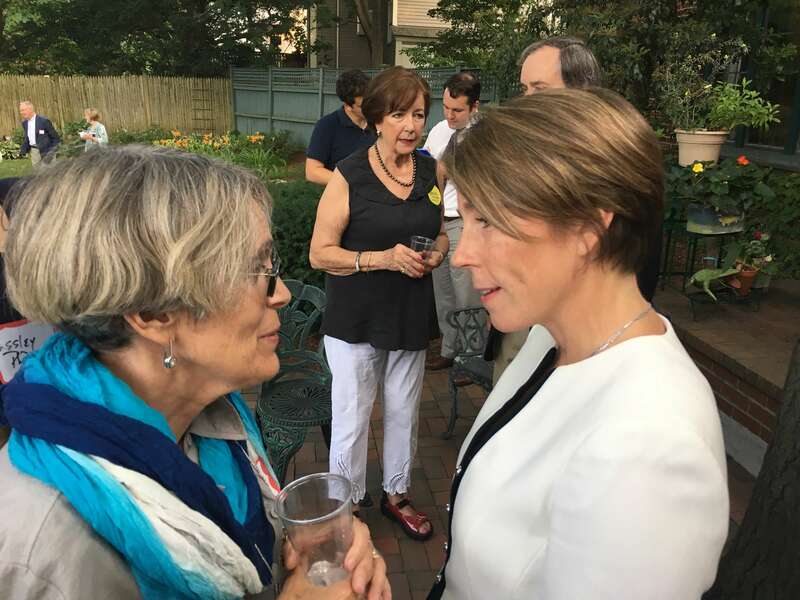 It's putting a human face on the political process. 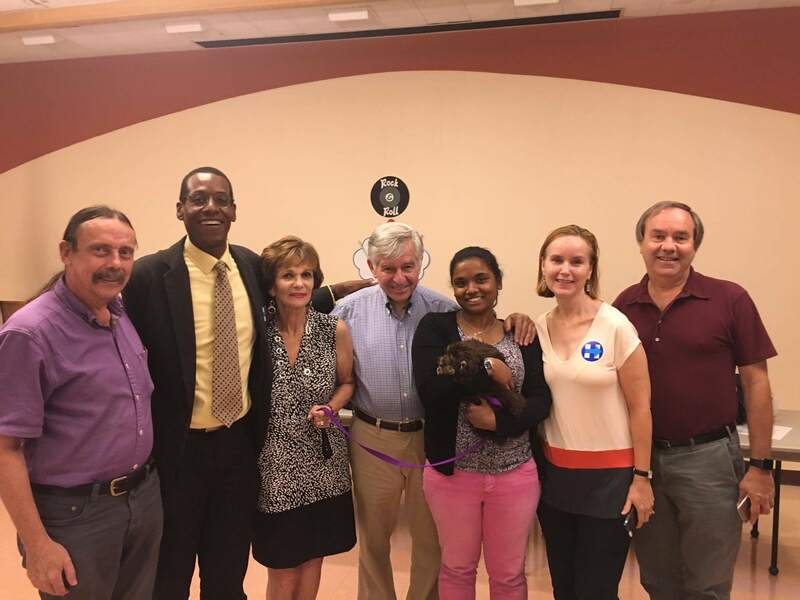 It's engaging people in conversations on issues they care about and responding to them," he has said. 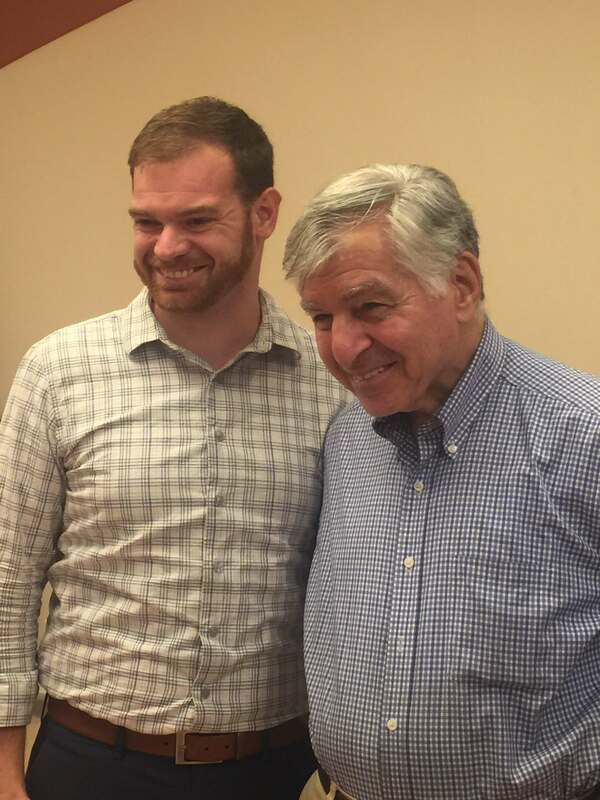 We were delighted to hear him explain why this is crucial in the upcoming Presidential election, and to share his views on public policy and American politics. 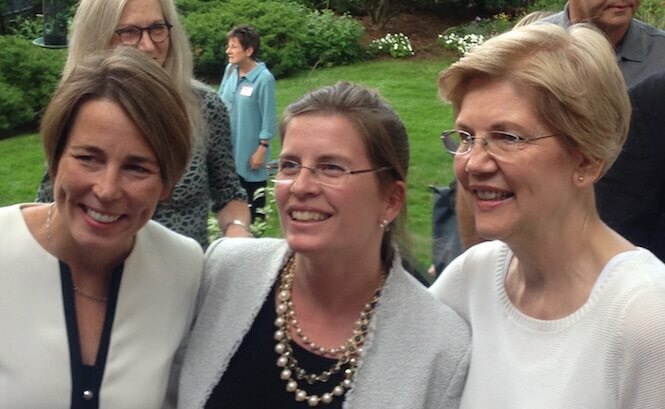 Click on the photos below to see them full-size. 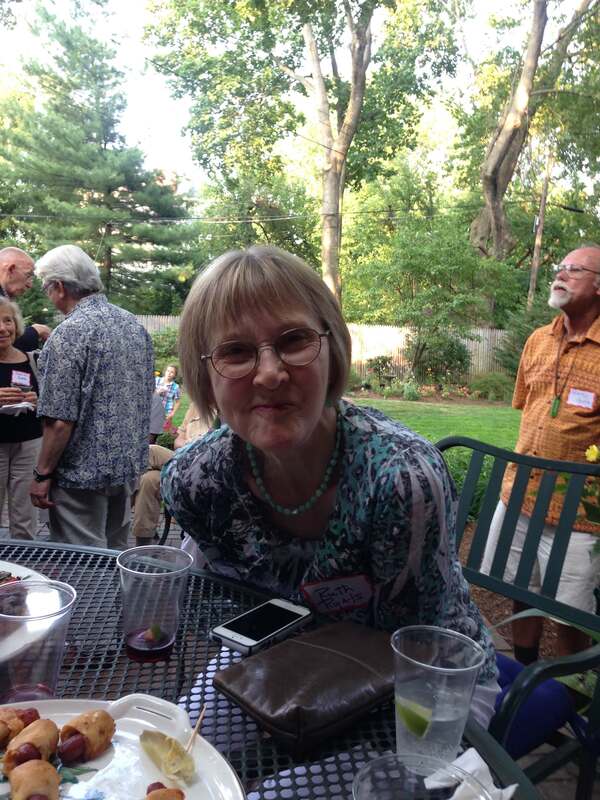 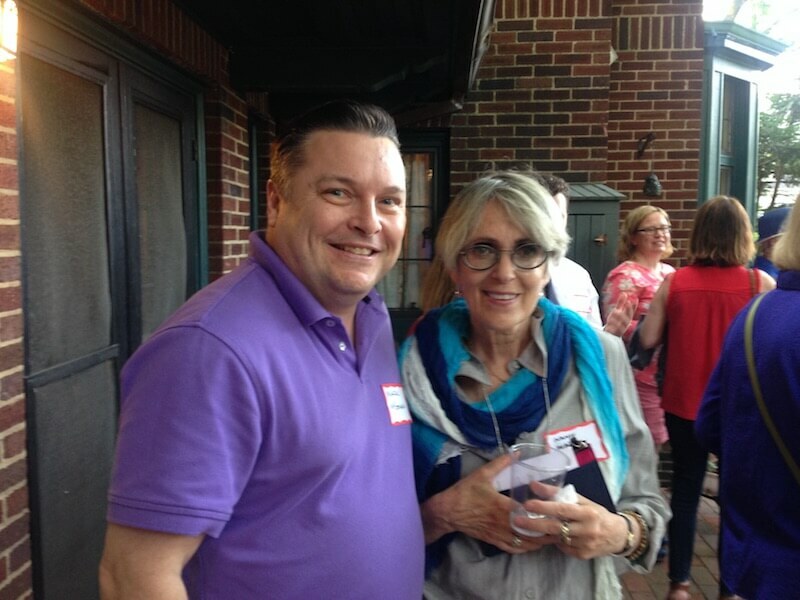 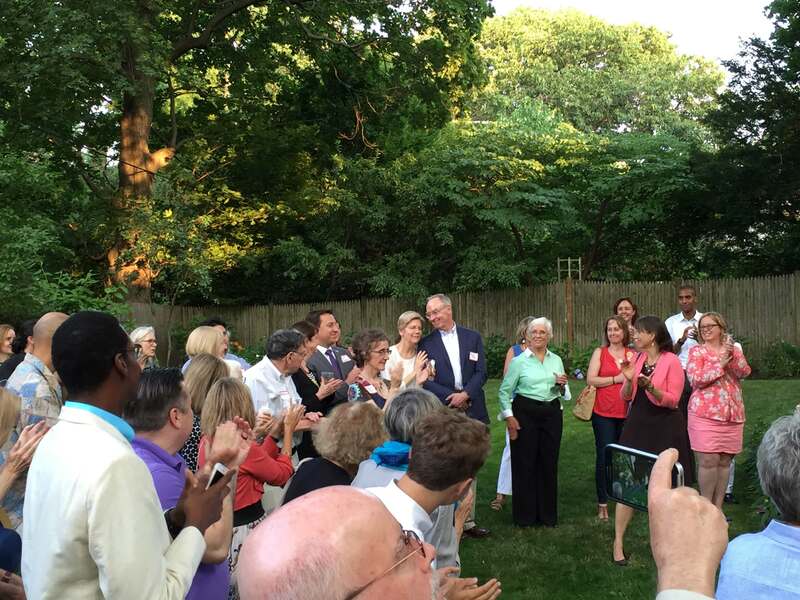 Thanks to all who generously contributed to the Cambridge Democratic City Committee Fundraiser! 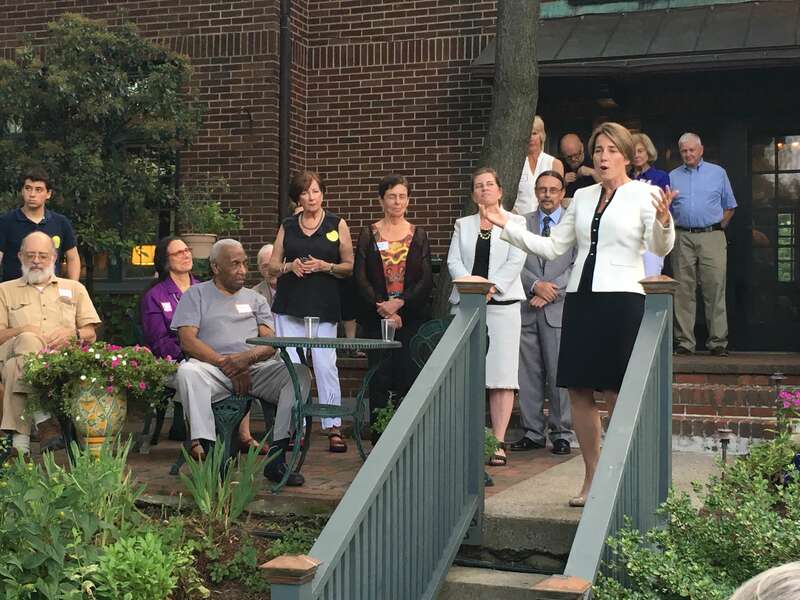 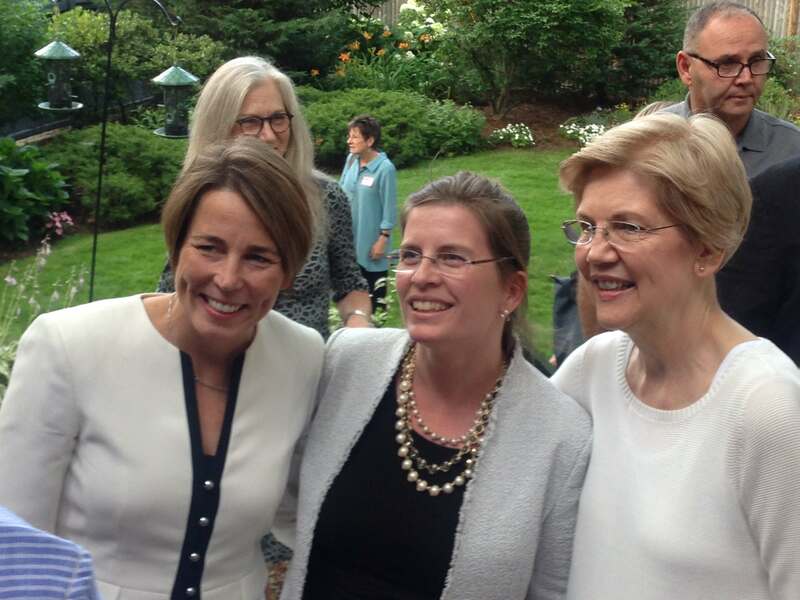 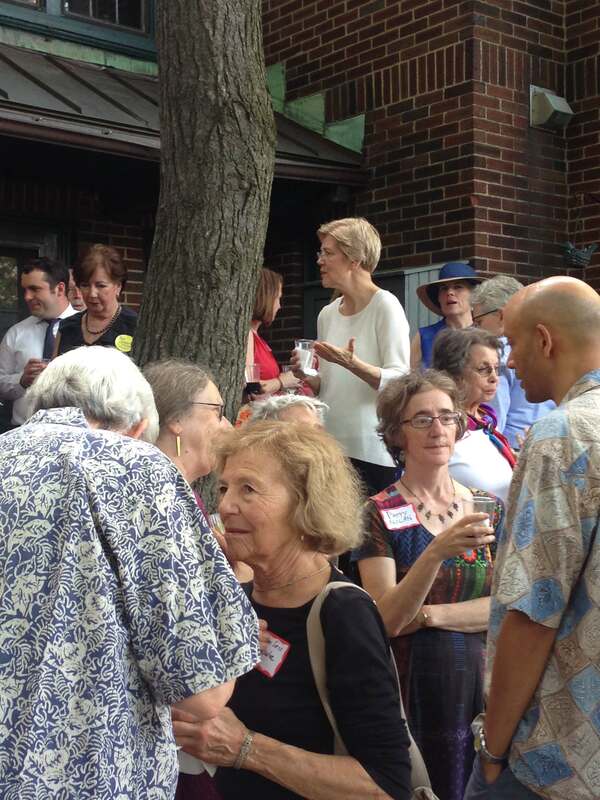 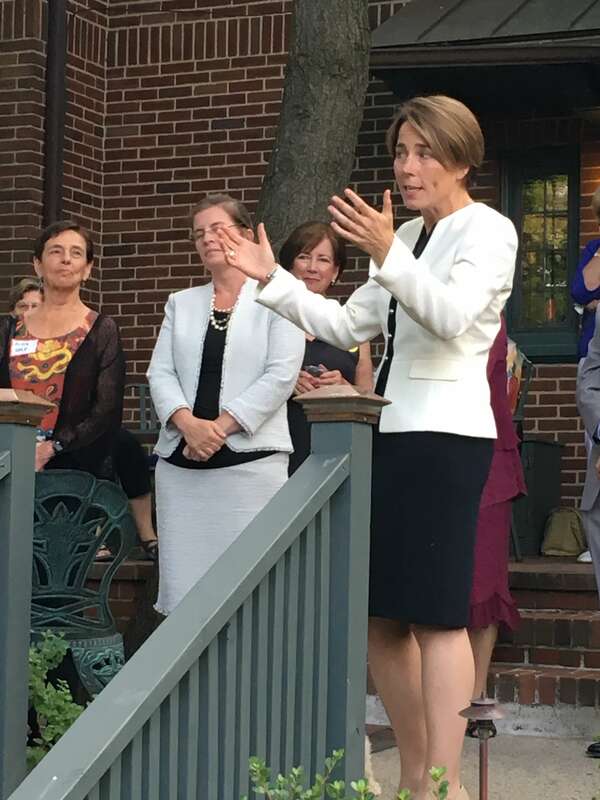 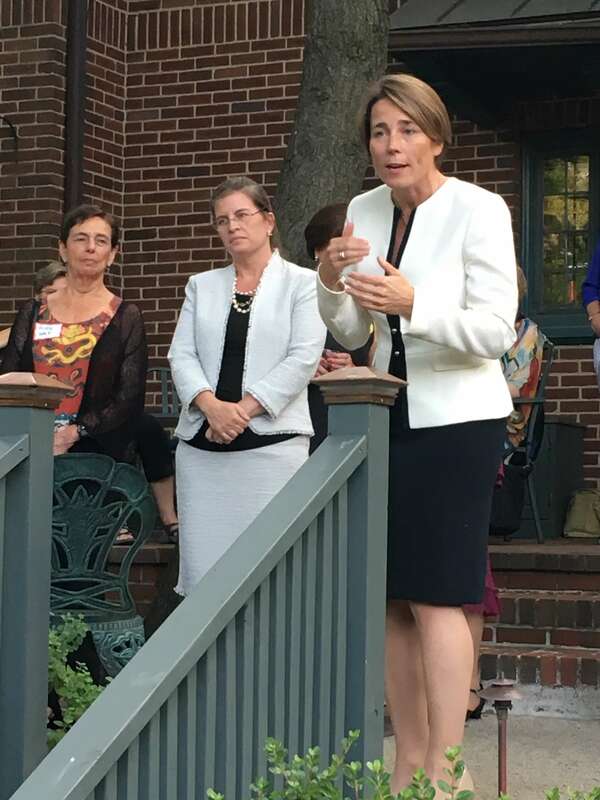 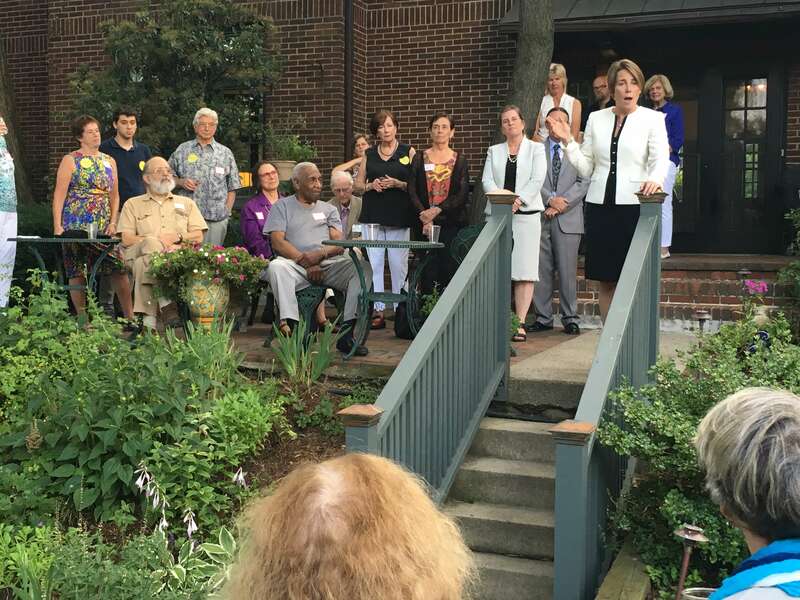 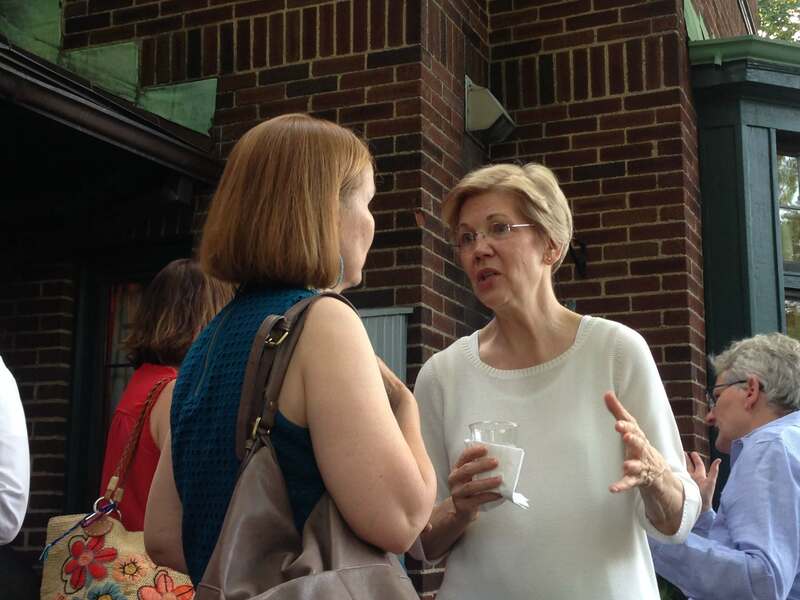 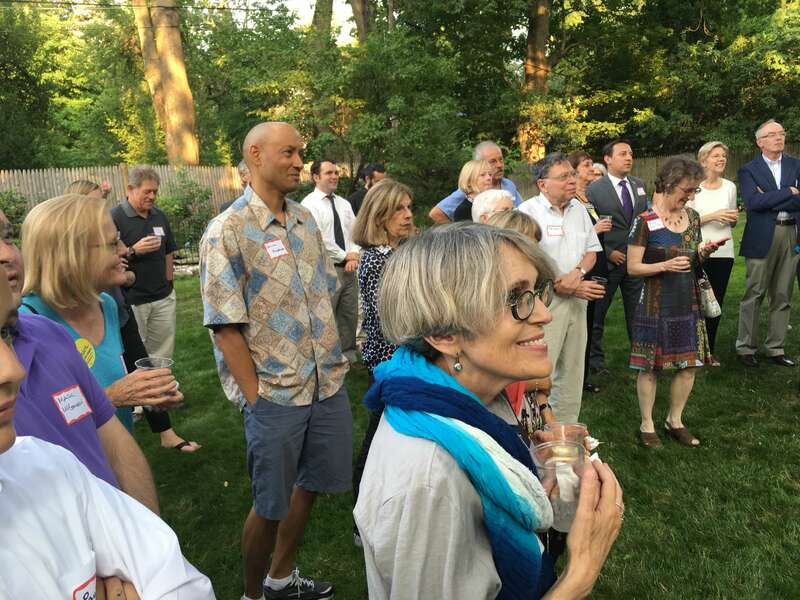 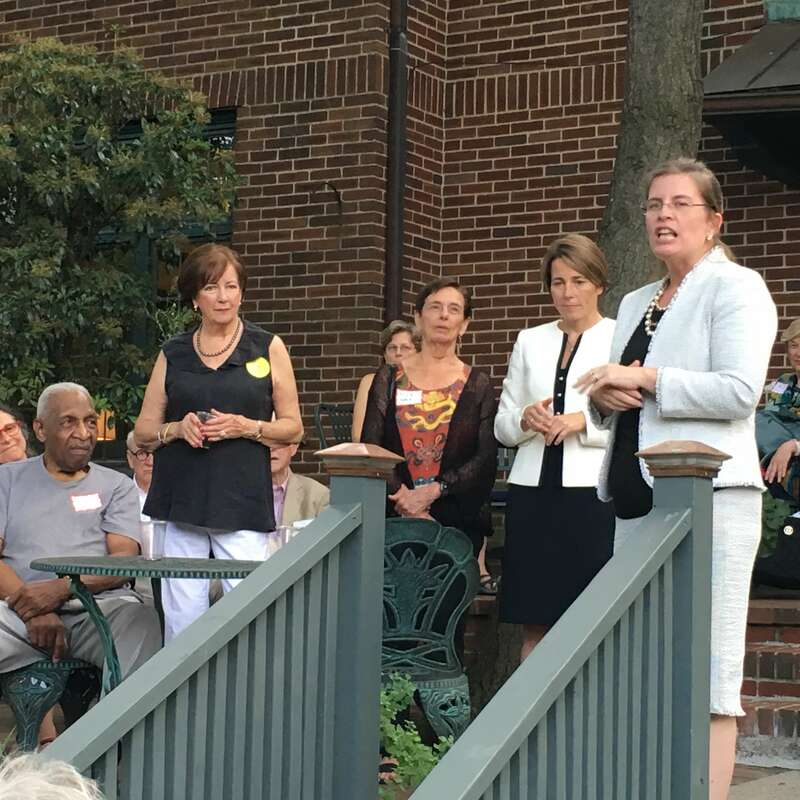 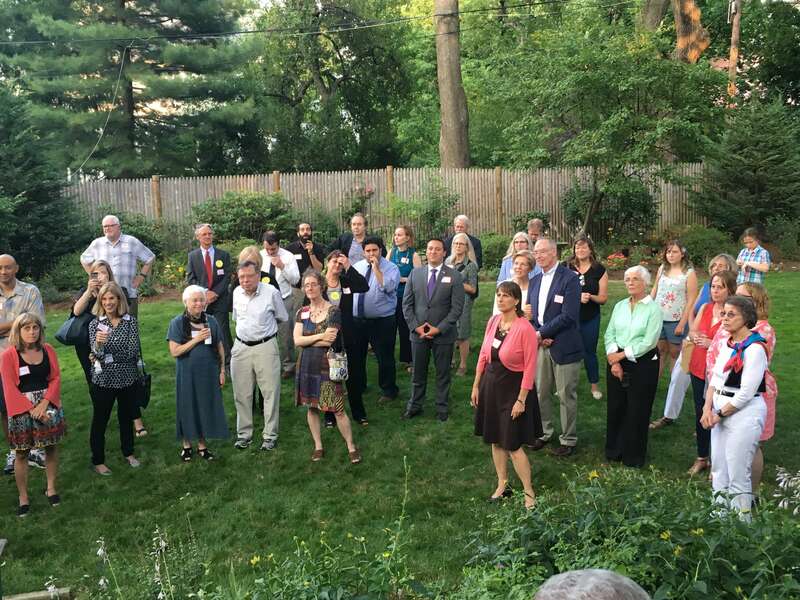 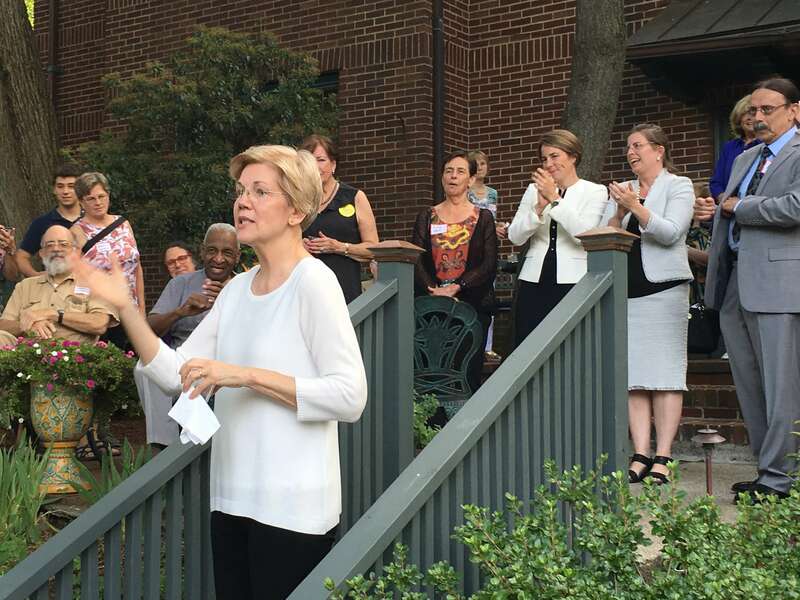 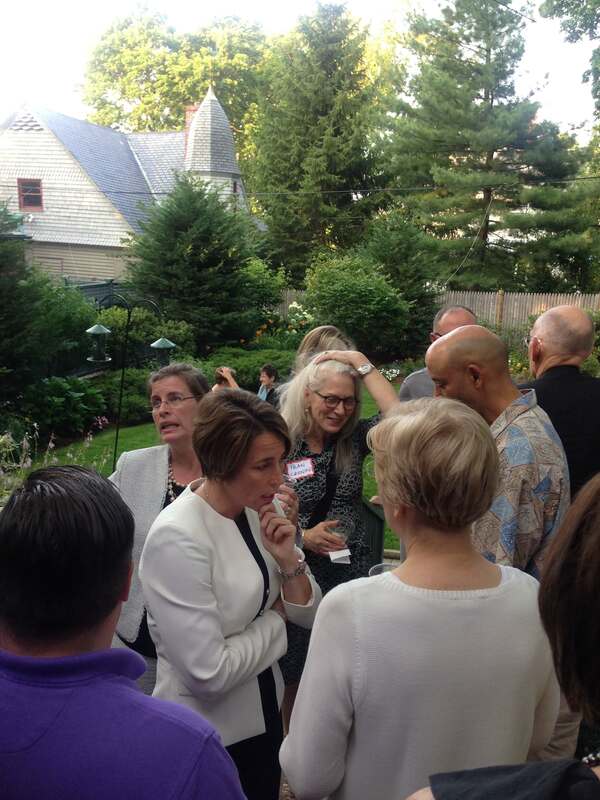 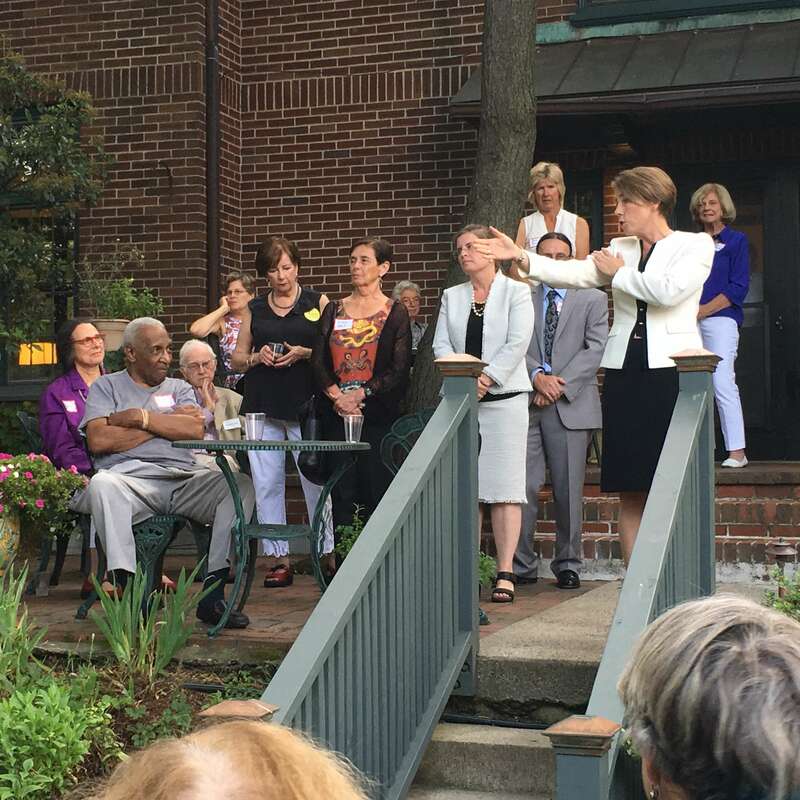 The weather was perfect as Patricia and Jay Lorsch graciously hosted Attorney General Maura Healey, Senator Elizabeth Warren, and other elected officials along with CDCC members and well-wishers. 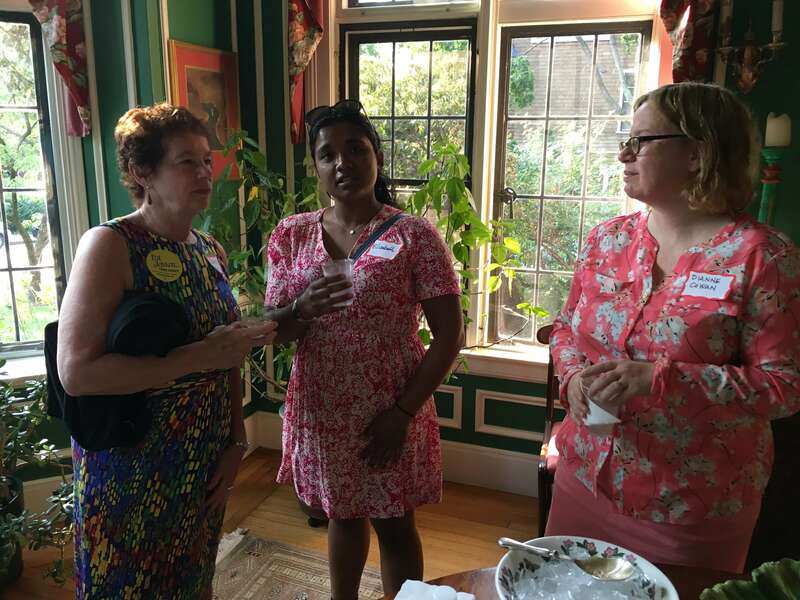 It's not too late to donate! 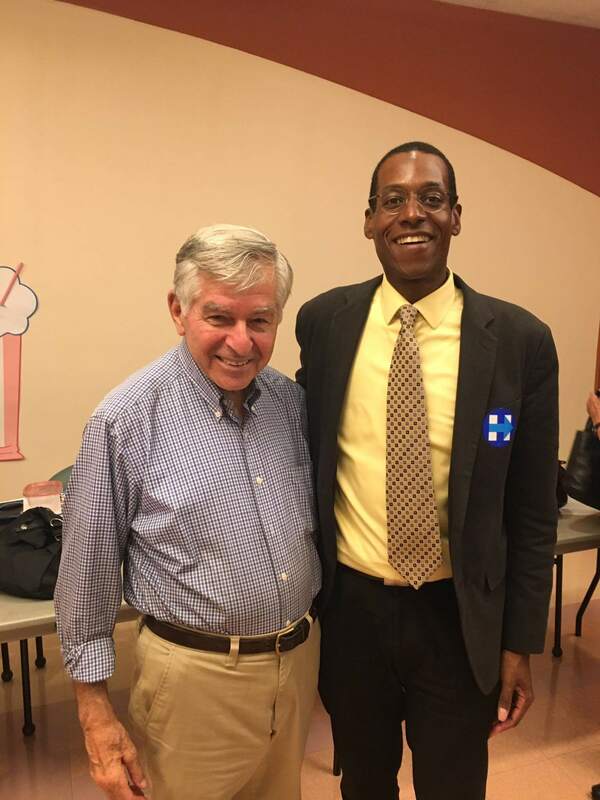 This is a critical election for our nation. 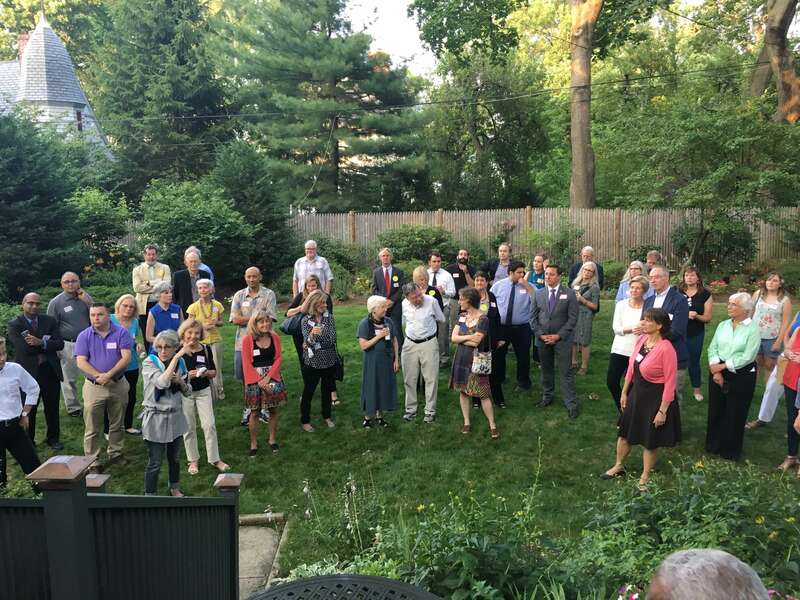 Your generous contribution will help the CDCC organize volunteers in Cambridge and recruit volunteers to help New Hampshire Democrats win four critical and close races in November: the Presidential race, a swing U.S. Senate seat, and both races for the House of Representatives. 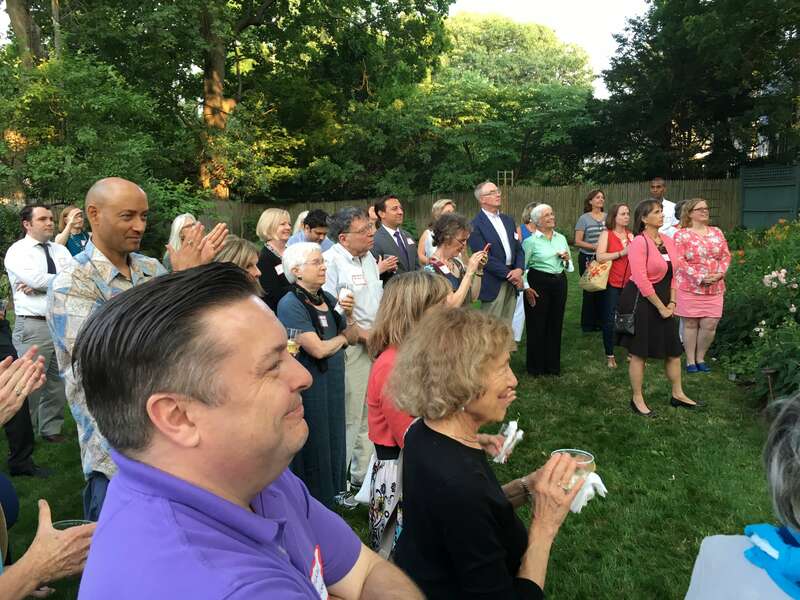 With your support, CDCC will mobilize local Democrats for phone banks and canvassing in the areas where we can make the most impact!